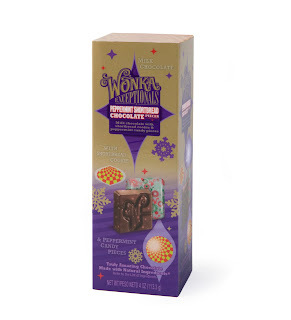 I wrote about the deliciousness that is Wonka Exceptionals a few months ago. I received a top-secret baggie of the latest creation, themed for holiday giving and nibbling: Wonka Exceptionals Peppermint Shortbread Chocolate Pieces. Each little square is chocolate studded with bits of shortbread and peppermint candy. It is delightful, as one would imagine, and also very festive because they are individually wrapped in silver foil printed in holiday red and green. 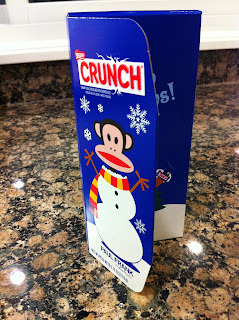 Set them out in bowls with the other Wonka Exceptionals and be the hostess with the mostest. Or hoard them all for yourself. I won't tell. 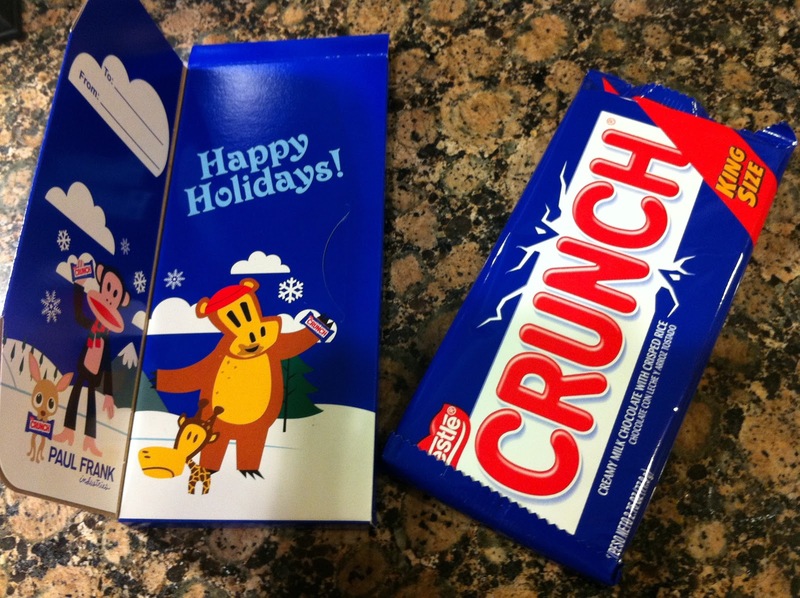 The limited edition Paul Frank Crunch Bar is basically a king-sized Crunch in an adorable Paul Frank sleeve that doubles as a card. 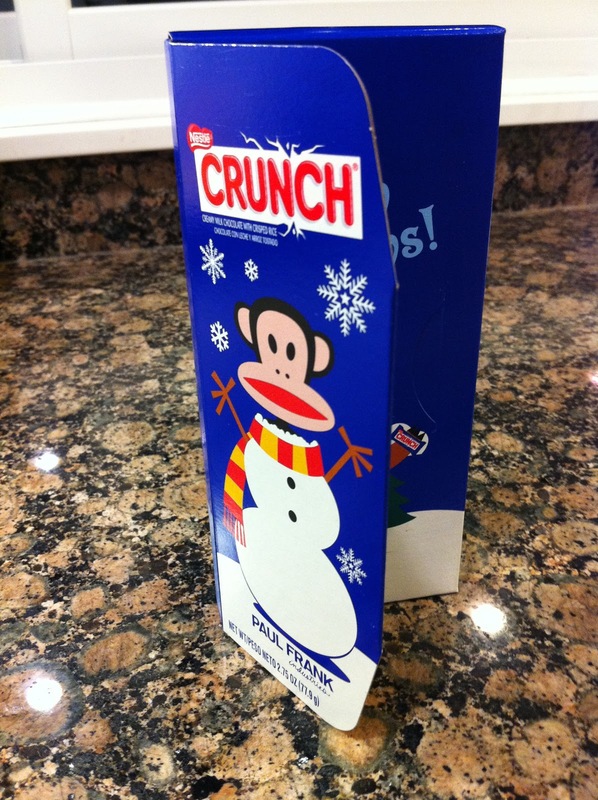 I was kind of hoping for Julius-shaped crisped rice but I didn't notice any. They'd be cute for classroom holiday parties. 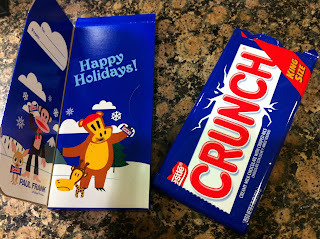 Disclosure: I received samples of Wonka and Crunch candies in order to facilitate this review. I may or may not have shared said candy with my family.